What is the history of a one-hundred-year-old building? 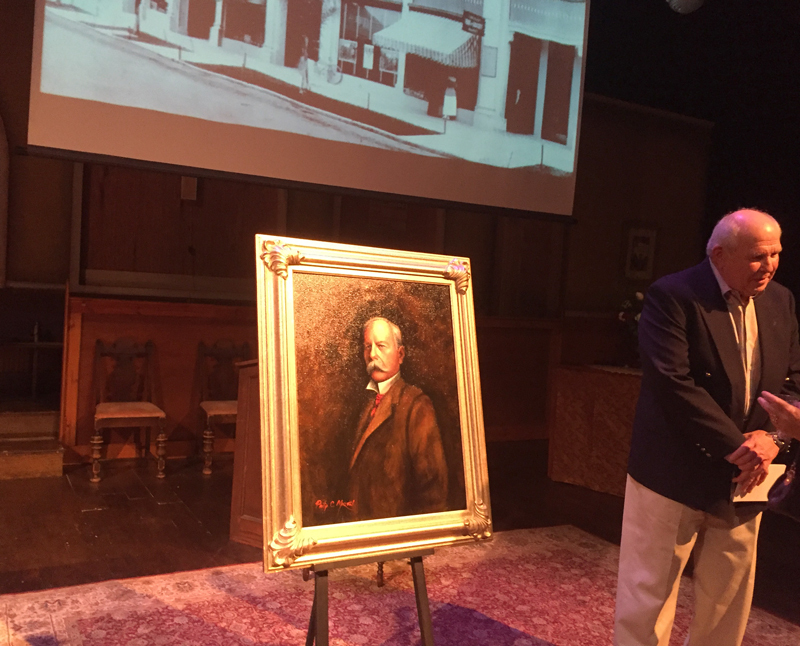 Lamb’s Players Theater Artistic Director Robert Smyth invited dignitaries from the city of Coronado, Coronado residents, and Lamb’s Players friends and patrons to learn about the history and to celebrate the 100th birthday of the historic Spreckels Building in Coronado. 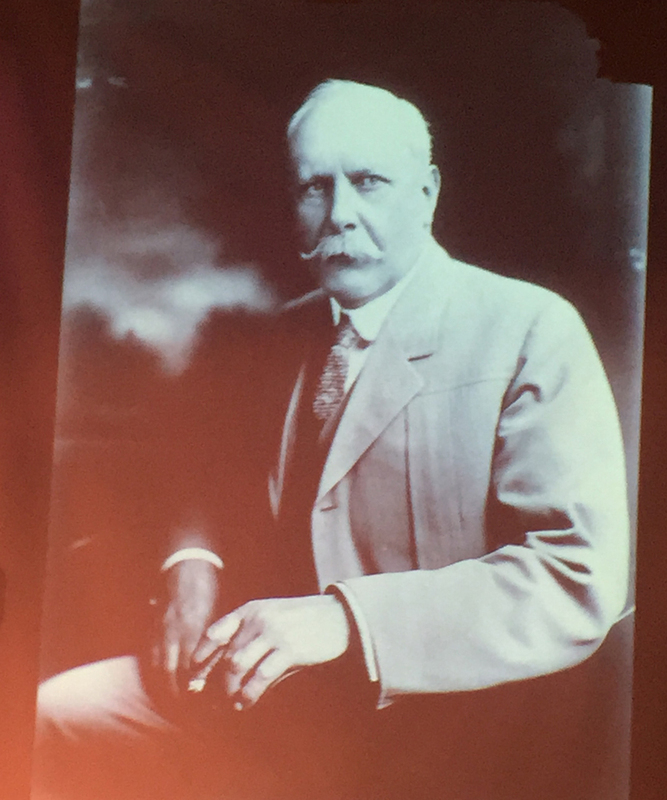 Menard Family Foundation Director Barbara Menard and fiancé Jim Ogilvie joined those assemble to review the history of railroad magnet and real estate developer John D. Spreckels and the construction of the beautiful building on Orange Avenue. Originally a bank, the building was partially unoccupied until Lamb’s Players completely renovated the old performance space in 1994 into a new resident theater. Now the home of San Diego’s third largest theater company, Lamb’s Players Theater has comfortable intimate theatre seating for 350 people in a European amphitheater style. 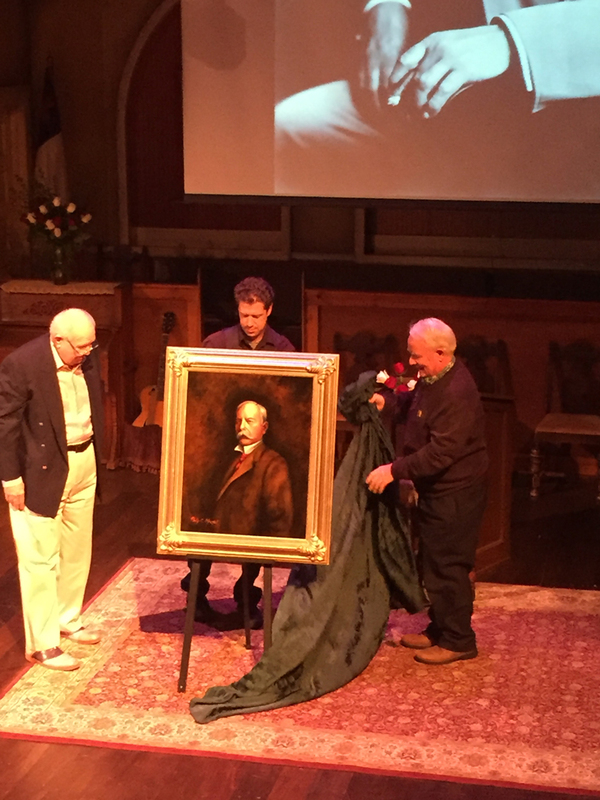 The birthday celebration included sharing about the history of the building, pictures of the renovation, and the unveiling and presentation of a portrait of John Diedrich Spreckels, painted by a local Coronado artist.